Democrats raise questions about why so many Kavanaugh documents have been kept from the public. WASHINGTON — The dramatic release Thursday of once-concealed documents from Supreme Court nominee Brett Kavanaugh’s tenure in the George W. Bush White House spotlighted the simmering frustrations from Democrats over how Republicans have kept secret vast parts of Kavanaugh’s voluminous paper trail. At the beginning of his confirmation hearings this week, nearly 200,000 pages of Kavanaugh’s records from his tenure in the Bush White House had remained classified as “committee confidential,” meaning senators and certain aides could review them but not release them to the public. A team of lawyers vetting the documents on Bush’s behalf had been giving them to the Senate Judiciary Committee on condition that they remain “committee confidential,” as officials determined which of the records were appropriate for public release. A separate batch of more than 100,000 additional pages was withheld from the Senate Judiciary Committee altogether, because the Trump administration believes they would be covered by executive privilege. Democrats have furiously contested the Republicans’ decision to mark so many of the documents as “committee confidential,” arguing that the records were not all sensitive and contained noteworthy information that should be relayed to the public. 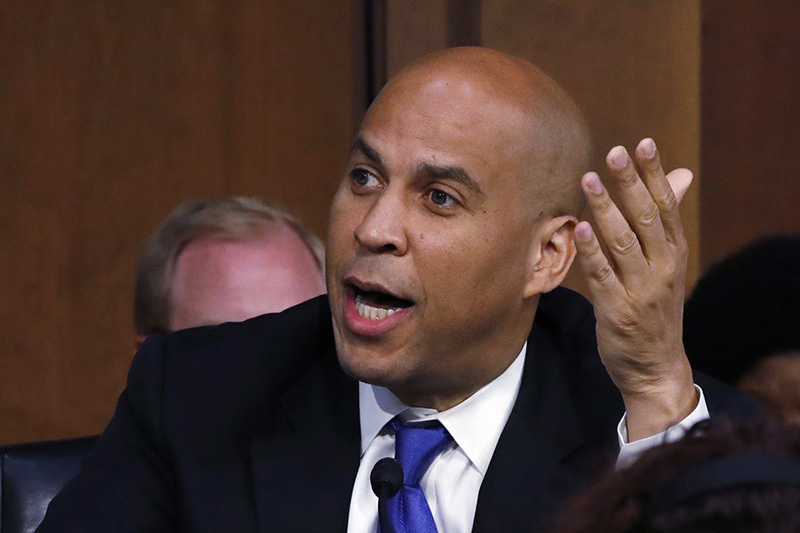 Sen. Cory Booker, D-N.J., vowed to disclose them in defiance of Senate rules. Later Thursday morning, Booker and Sen. Mazie Hirono, D-Hawaii, posted on their websites some of the documents that had been marked “committee confidential.” But at the time they had been posted, the records had already been cleared for public release.